My twitter feed has been going mad today with the launch of the Wildlife Trusts’ Every Child Wild campaign, which aims to get everyone talking and sharing ideas on how to ‘put the wild back into childhood’. There have been some great ideas, articles and quotes shared using #EveryChildWild, which indicates that there are plenty of people willing and ready to engage with the issue. Loads and loads of great reasons to get outside and take advantage of the huge impact time in nature can have on children’s health, development and wellbeing. Chances are that none of the information in those tweets will come as a surprise. We may not have the statistics at our finger tips, but most of us can list plenty of the reasons experts say we should be outside. It’s just that when its cold, wet and windy, or we have chores to do, or we’ve had a long day, those lofty reasons aren’t quite enough to push busy parents out the door. So here is my alternative list of reasons to take the kids on adventures in the wild – for those days when the more worthy ones just aren’t cutting it. Naps going a bit wonky? Toddler fighting bedtime? Chuck them outside and let them run around madly to get rid of the extra energy. Fresh air has an amazing tiring effect on small (and big) people. Hopefully leaving you more time to watch the Apprentice get some chores done. We are just beginning to enter the world of toddler tantrums, so I’m aware the worst is still to come. Generally though, tantrums or tears seem to occur much more frequently indoors. There is something about being outside and having physical space that seems to create the mental space to deal better with big emotions. And if a tantrum does occur, it is much easier to stay calm, acknowledge feelings and patiently empathise if you are in a wild space without a whole bunch of other people staring and tutting (yes, I know they don’t really. But it feels like it). Only really relevant at this time of year maybe, but one of the unexpected advantages I’ve found of spending more time outdoors is that we feel warmer when the weather is cold. We wrap up well before heading out, and are generally pretty active once outside (even Tom generally gets a run around). This keeps us warm when we are out and, when we come back in, the house feels warmer in contrast with the outside. As a result, we need to have the heating on less often (and aren’t in the house to use it anyway) which bring us back to saving the pennies. We have now turned the heating on here, but only for an hour in the morning, and more so that some of the mountains of wet laundry might actually dry than for our comfort. So there you have it, 5 alternative reasons to spend more time outside this autumn. Can you think of any I’ve missed? 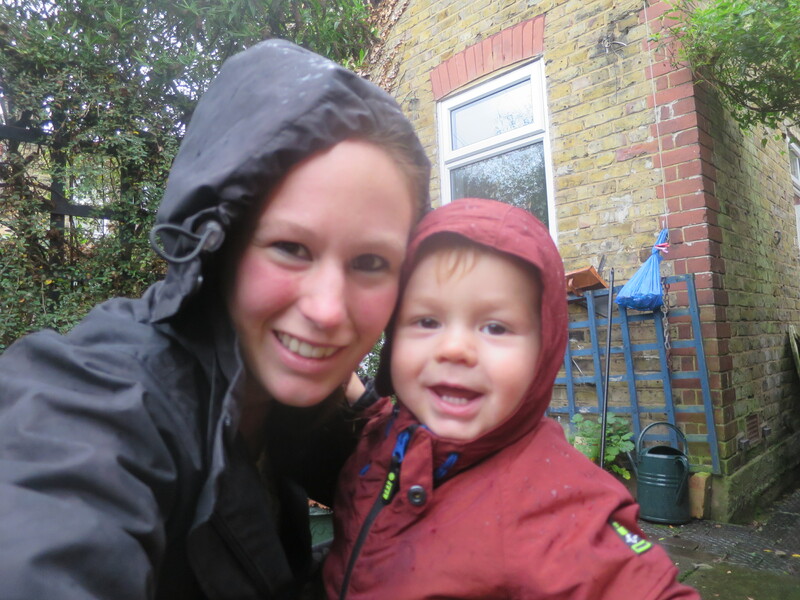 Posted on November 5, 2015 December 18, 2015 by LucyPosted in Food for Thought, Wild TimeTagged Outdoors, reasons to get outside, toddler, wild spaces, Wild Time. with you all the way, even in the drizzle I have to get the kids outside, even if it is jut for half an hour it can change a day for the better. Reason one is certainly very valid 🙂 I like that you have listed all the reasons from parents perspective – how they will benefit from taking their kids outdoors. Parents have such a long list of things we need to achieve each day that sometimes we need selfish reasons to do things too! Thanks for reading.